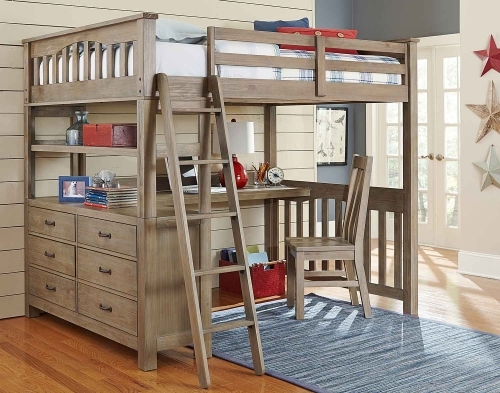 Lake House: Everyone can remember that special place where a kid can have fun and adventure all day, then relax for a well-earned rest and wake up refreshed, ready to do it all again. 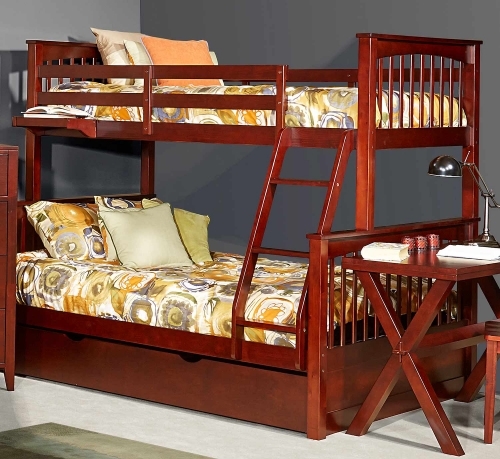 For our family that special place is the Lake House. 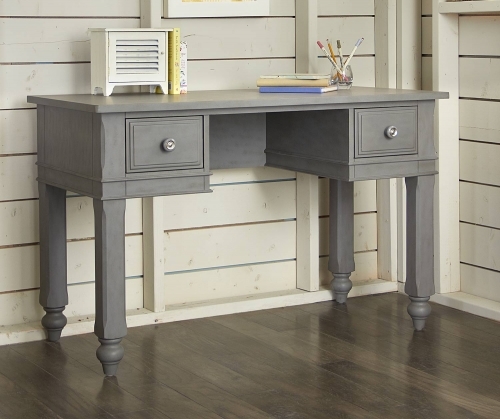 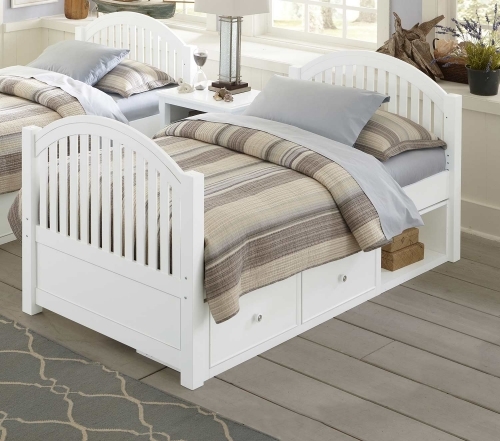 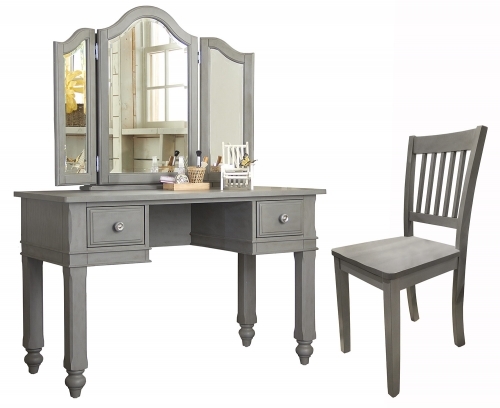 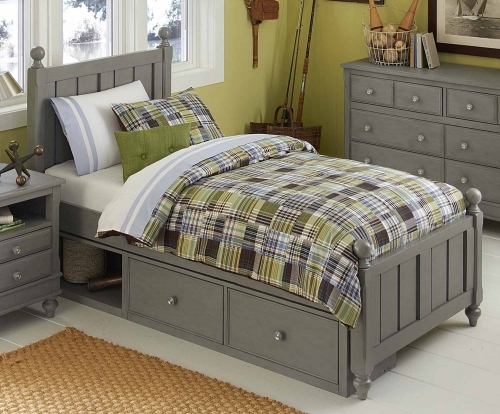 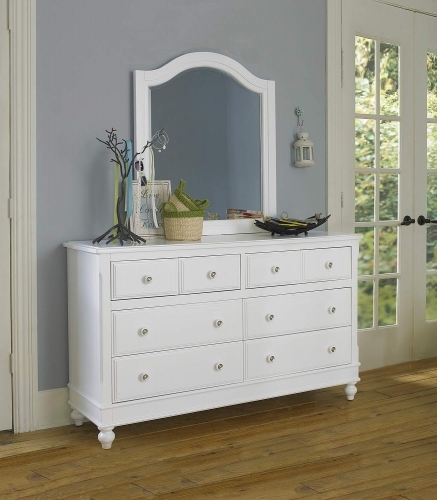 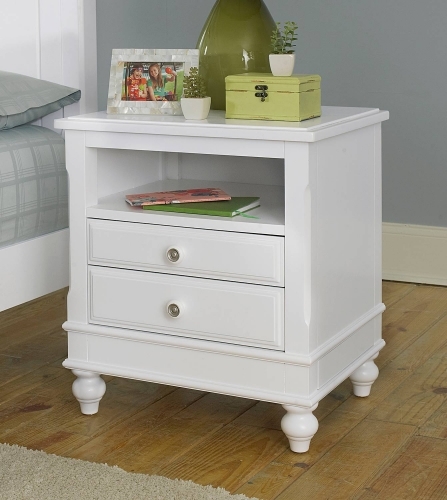 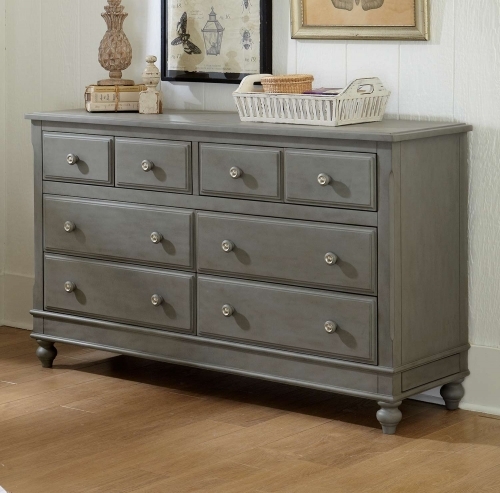 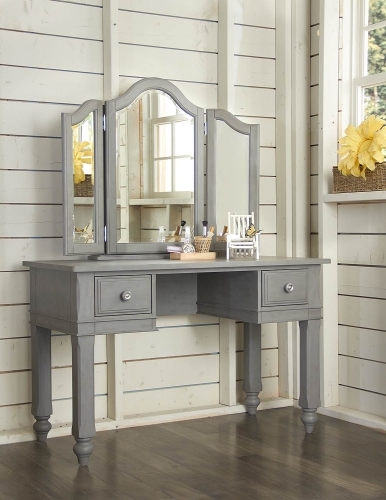 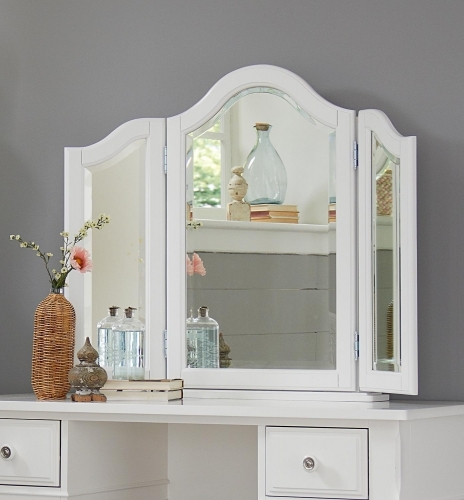 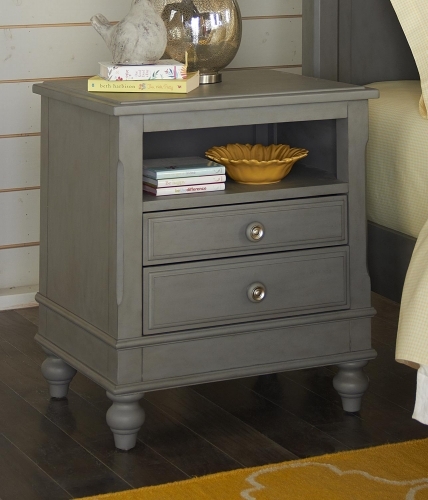 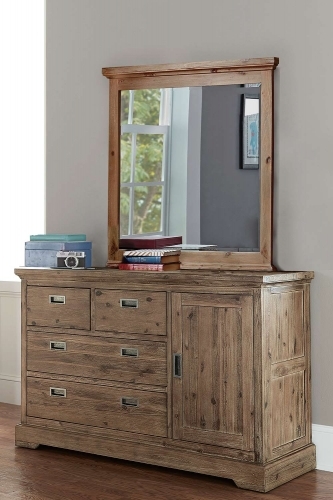 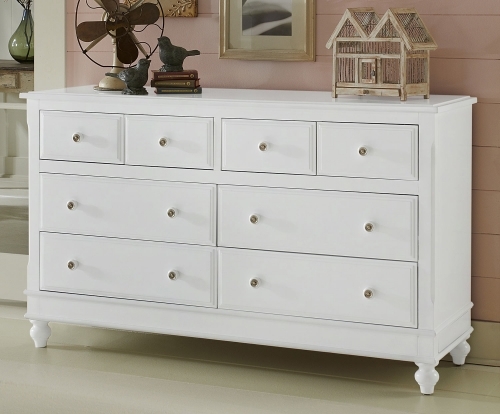 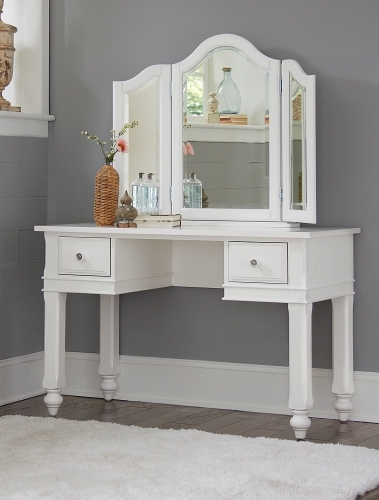 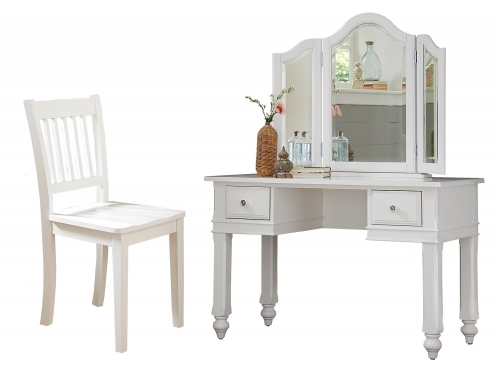 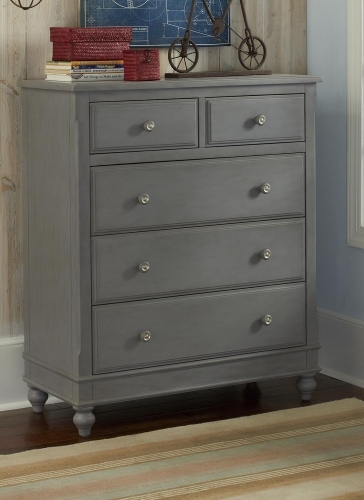 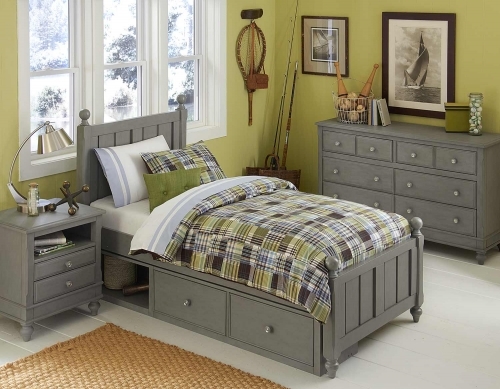 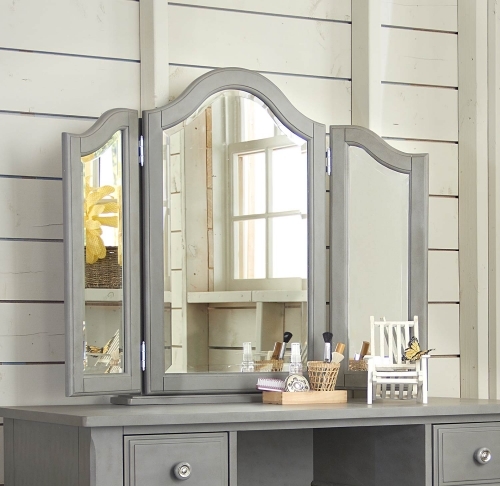 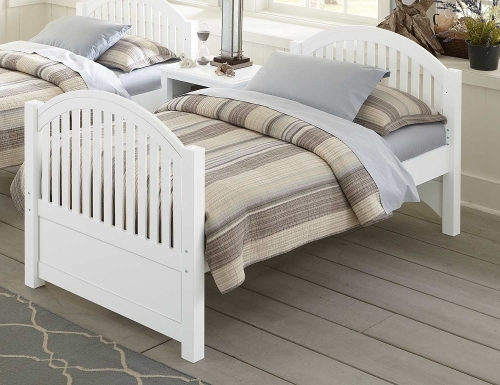 Designed to offer the same allure of a lake retreat, the Lake House collection offers a fresh approach to cottage styling with its updated hardware, clean lines and casual bun feet. 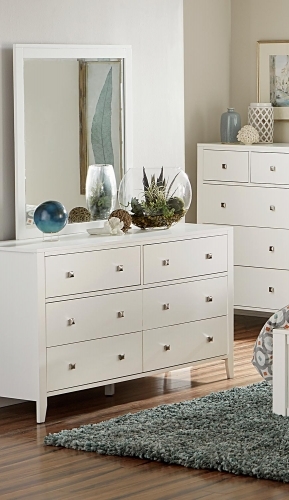 During the design process, great care was taken to ensure Lake House would seamlessly blend with any home décor be it a home in the city, suburbs or at the lake. 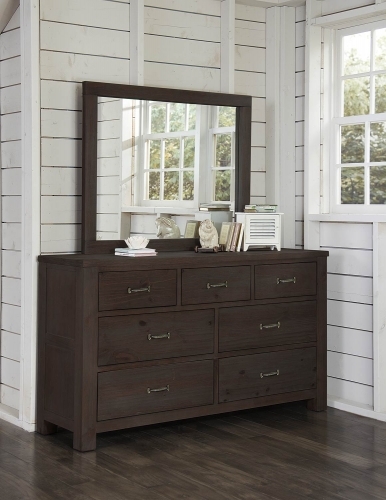 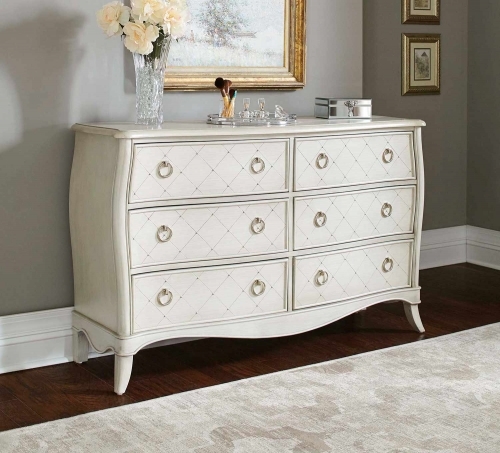 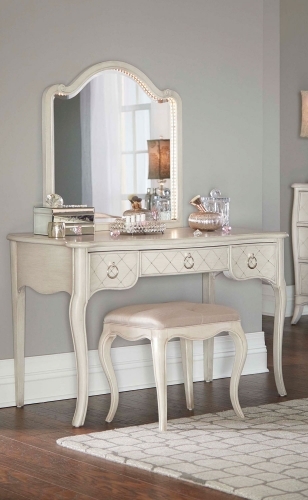 The Lake House collection constructed of Eastern US poplar solids & veneers is available in two beautiful finishes, white and stone. 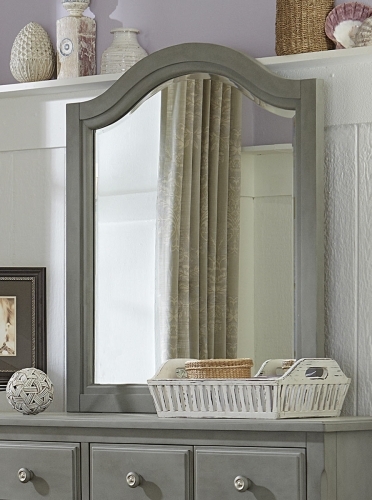 The refreshing white finish and the rich hues of the stone finish both create the perfect backdrop to any decorating style. 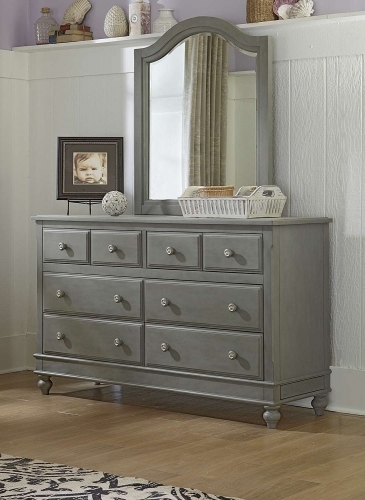 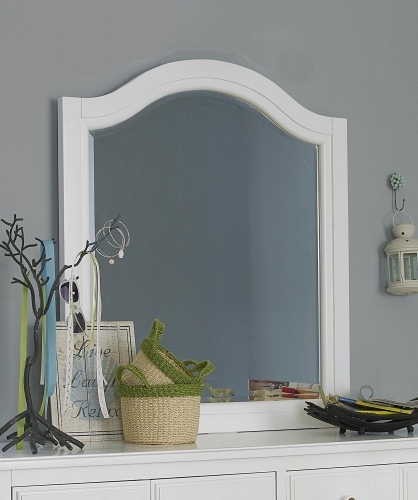 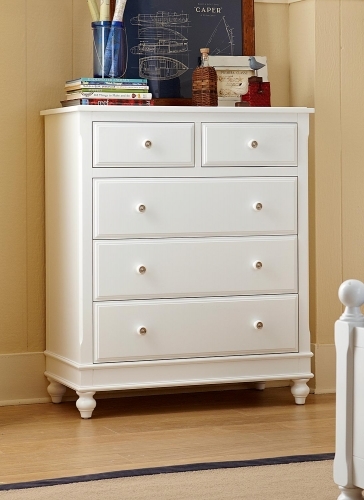 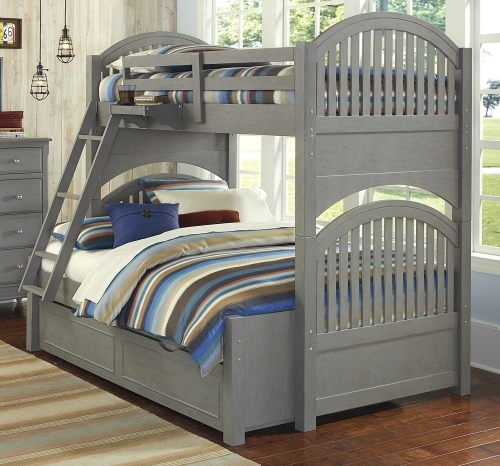 This All American classic is trend-right and is sure to remind your family everyday of their special place. 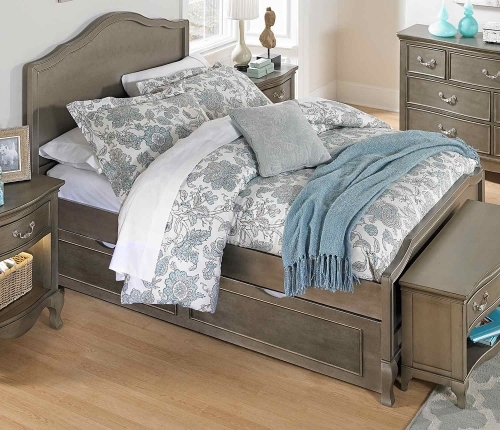 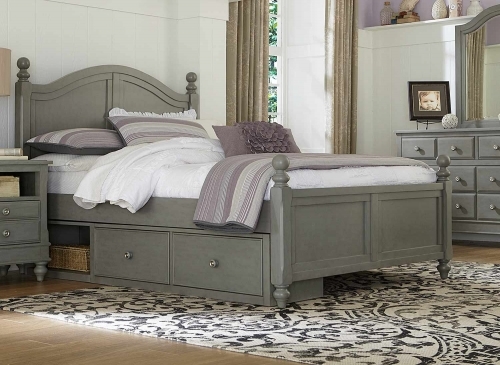 No matter if it is in a home by the lake, the shore, in the country or the city, the Adrian Bed simply fits them all. 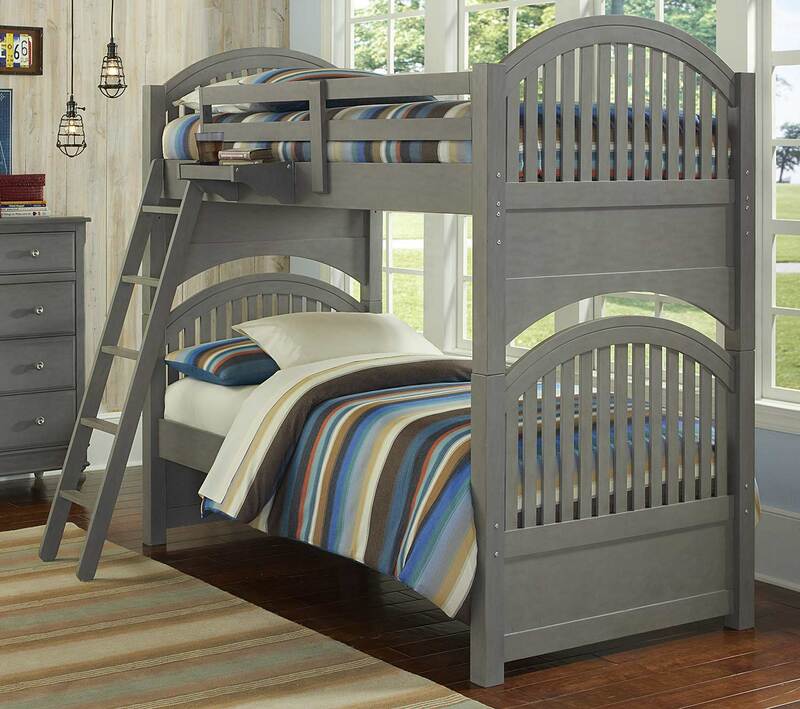 The stately arches and wide-plank spindles are set between substantial 2.75” posts. 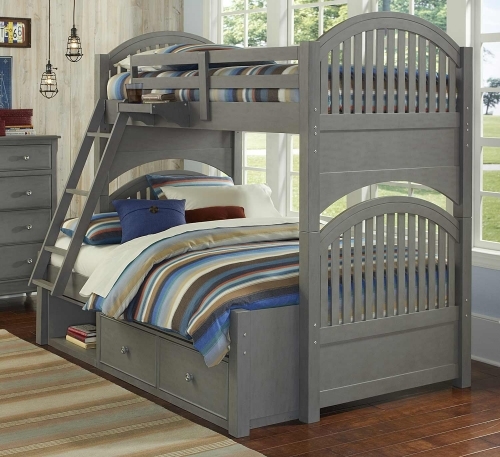 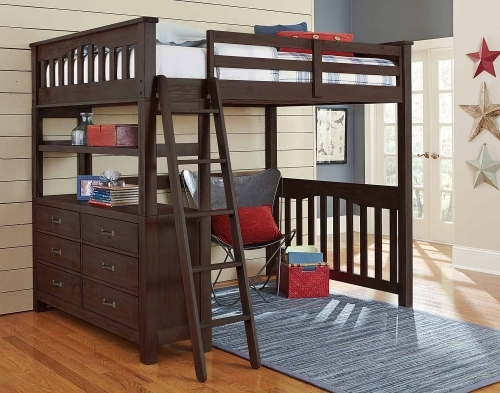 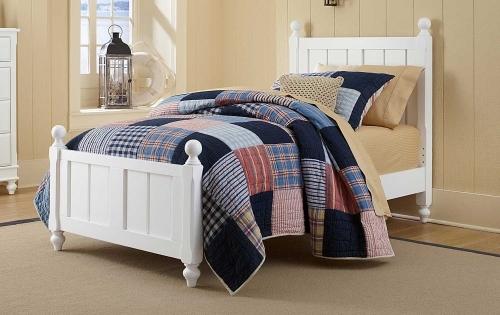 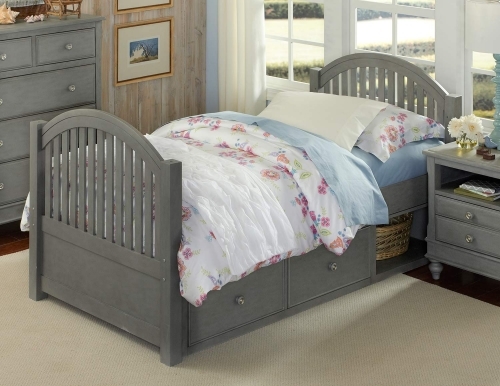 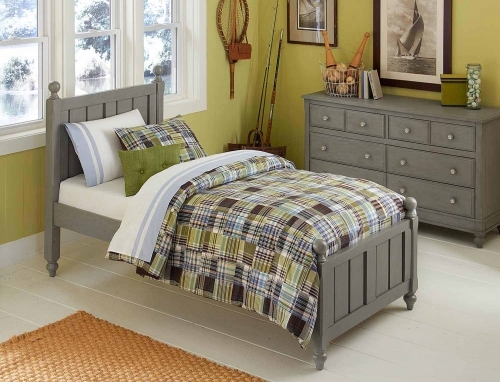 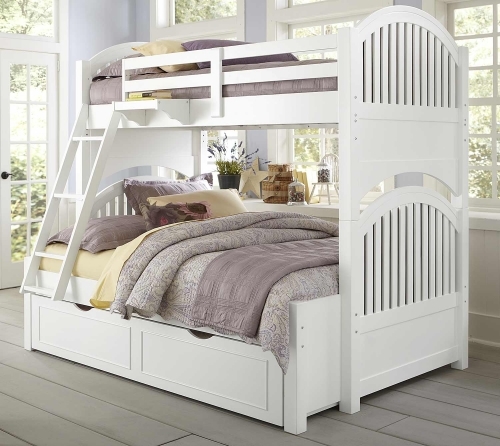 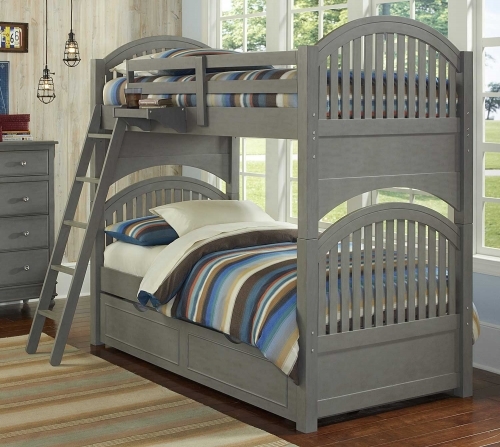 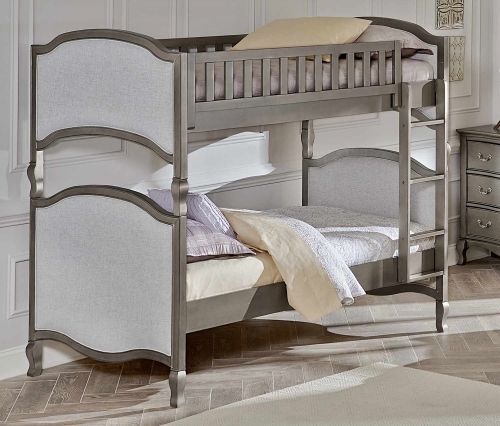 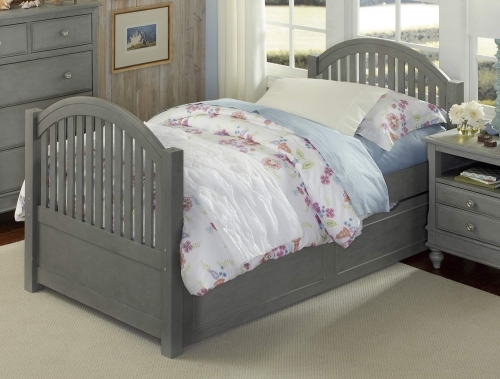 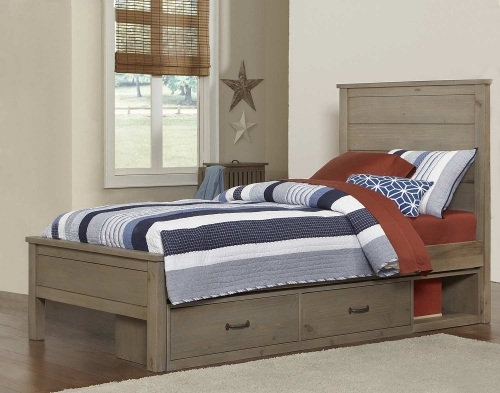 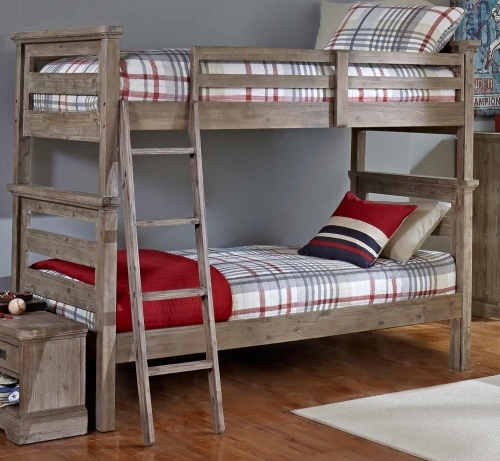 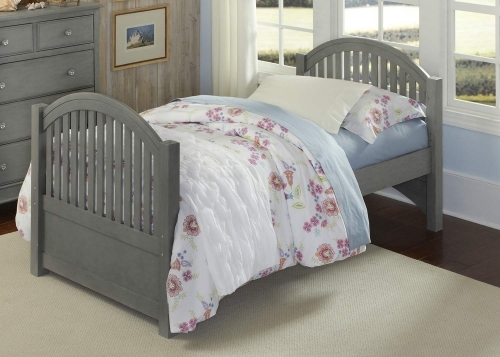 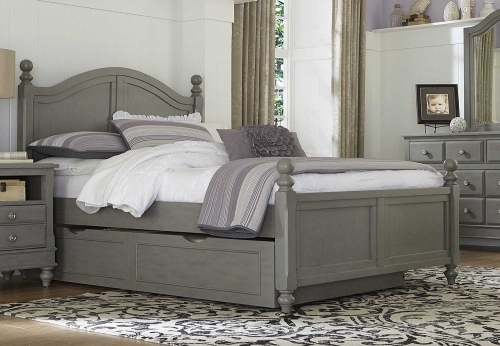 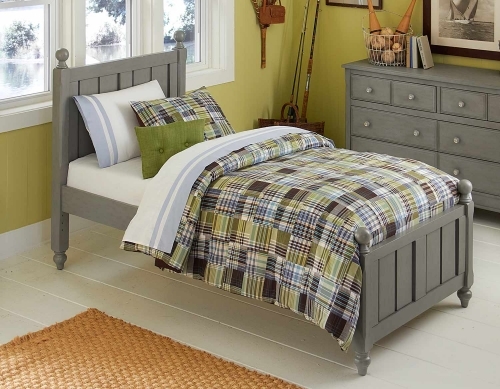 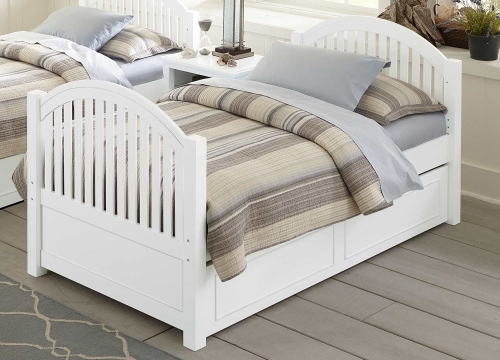 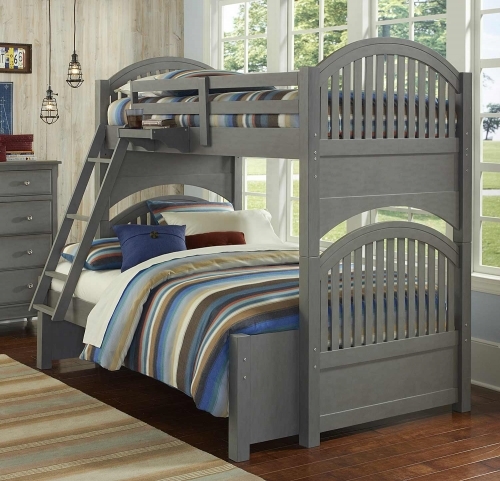 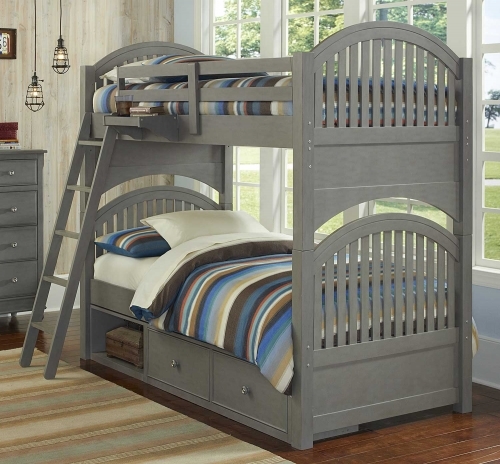 The Adrian Bed has the style to transition with your child and family over time. 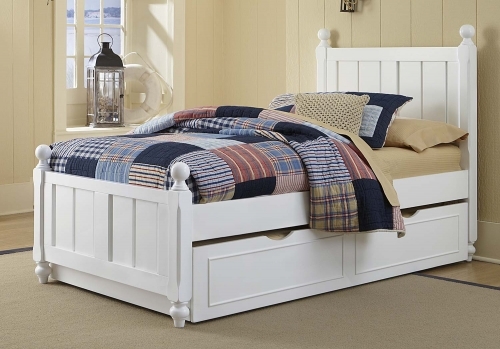 Hand crafted using Solid Eastern US Poplar and veneers over engineered wood, this bed is available in either White or Stone finishes. 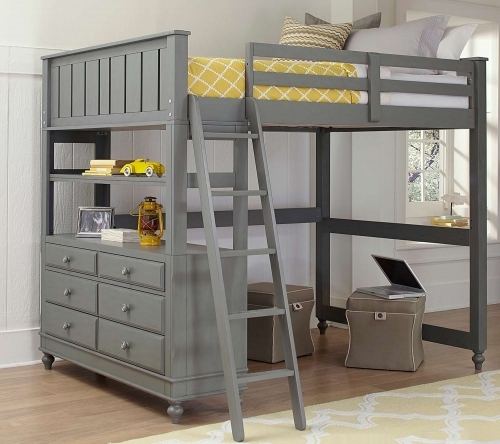 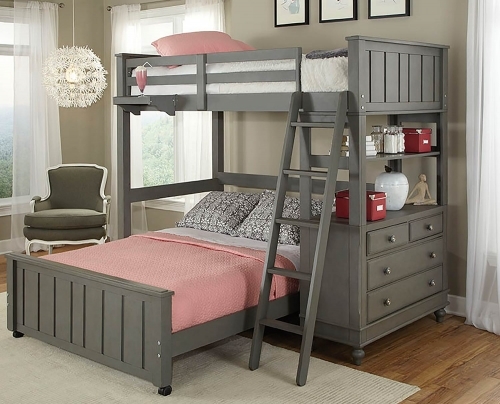 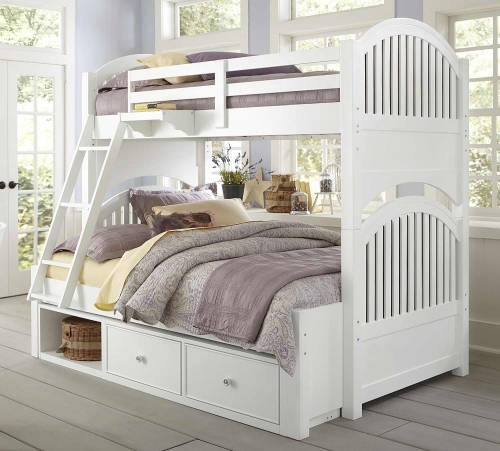 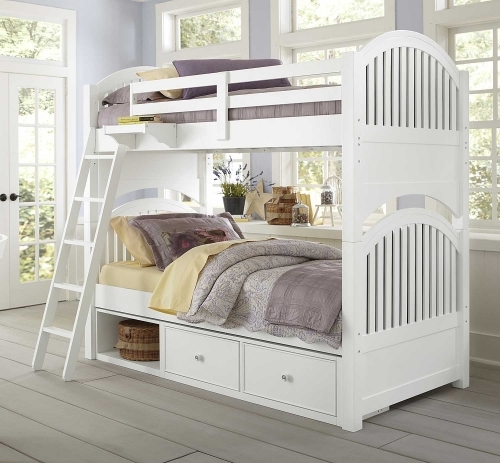 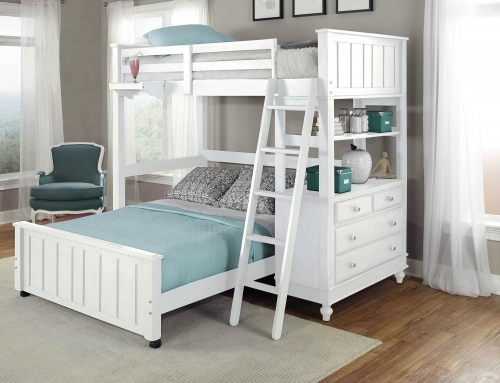 The bunk can be easily separated into two twin beds. 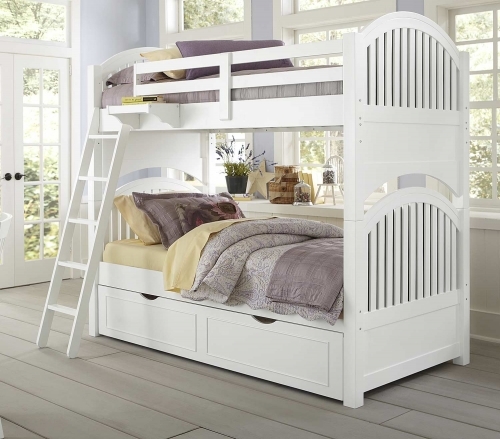 The ladder can be positioned on either the right or left side of the front rail. 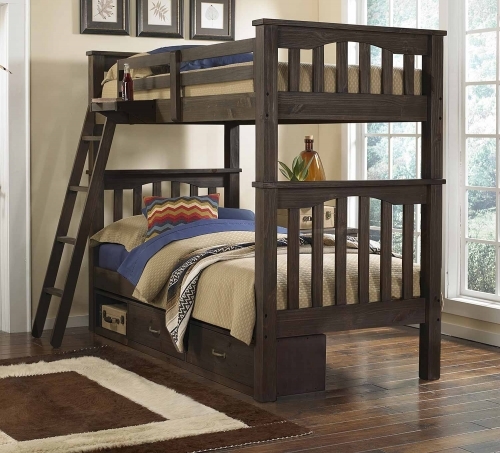 This bunk is mattress ready with a complete plywood slat roll foundation system. 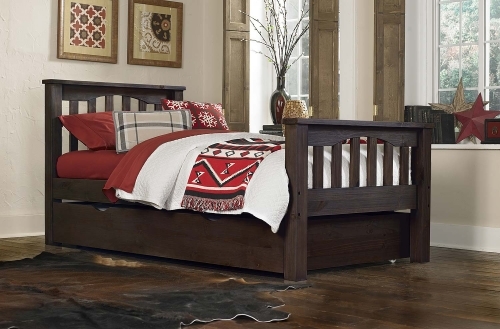 The longitudinal strength of plywood makes it the ideal product for providing a lifetime of dependable support for all mattresses and mattress systems. 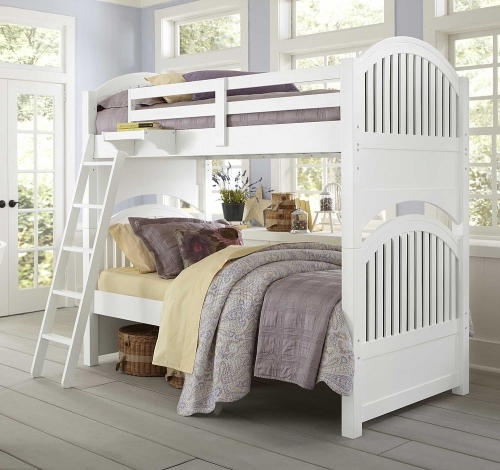 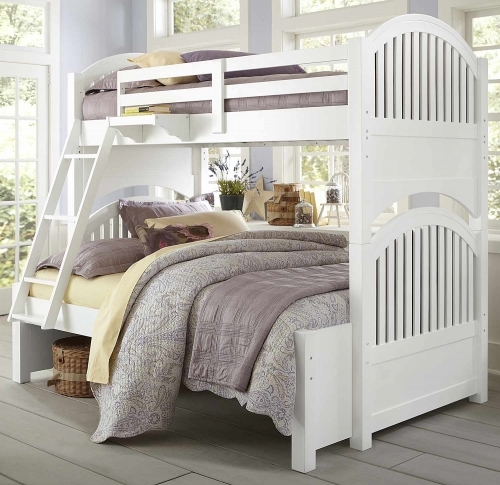 The mattress used on the top bed should not exceed 8” in height.